Mack Beggs, who identifies as male, has been criticized for competing against girls, but the state won't let him compete against boys. 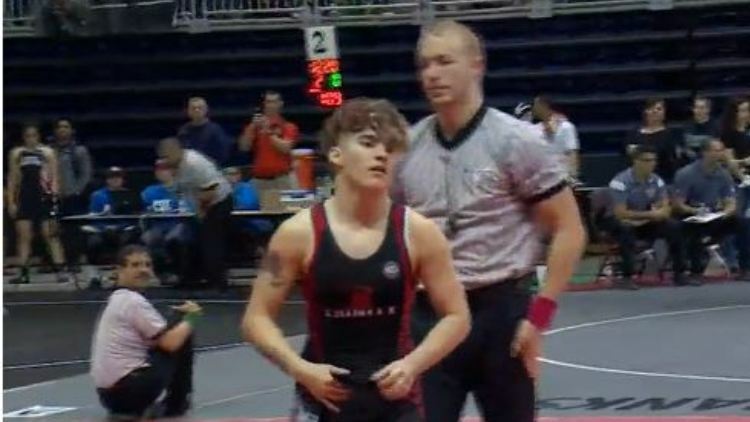 A transgender high school wrestler whose request to compete against boys has been denied has won his second consecutive Texas state championship in girls’ wrestling. Mack Beggs, a senior at Trinity High School in Euless, Texas, won the girls’ Class 6A title in the 110-pound weight division Saturday in Cypress, the Fort Worth Star-Telegram reports. He defeated Chelsea Sanchez of Katy Morton Ranch High School for the second year in a row. As was the case when he won the championship last year, Beggs received “a mix of cheers and jeers from the crowd,” according to the Star-Telegram. Beggs was assigned female at birth but identifies as male, and he has been taking testosterone, prescribed by a doctor, for the past few years. It is not considered a banned substance because he takes it under a doctor’s supervision for medical purposes, but he has been subject to criticism from people who claim the testosterone gives him a competitive advantage against girls. His mother, Angela McNew, says it doesn’t. He takes a low dose that stops the menstrual cycle and promotes growth of facial hair, but it doesn’t build muscle, she told the Associated Press. Beggs has sought to compete against boys, but the rule for Texas high school sports is that athletes must compete according to the gender on their birth certificate, the Star-Telegram reports. At one point he filed suit against the University Interscholastic League, the governing body for high school athletics in the state, in his quest to be allowed to compete with boys. The suit was dismissed. He plans to participate in men’s wrestling when he goes to college, as allowed by the National Collegiate Athletic Association. “I am looking forward to college,” he recently told the Star-Telegram. “I am looking forward to being on a men's team, in a men's division, working on my take-downs, being as strong as the guys. I'm already a couple of years behind, so I have a lot to catch up on." He said he has received one scholarship offer but did not identify the school, and he hopes to have more options. Watch video of his championship match below.